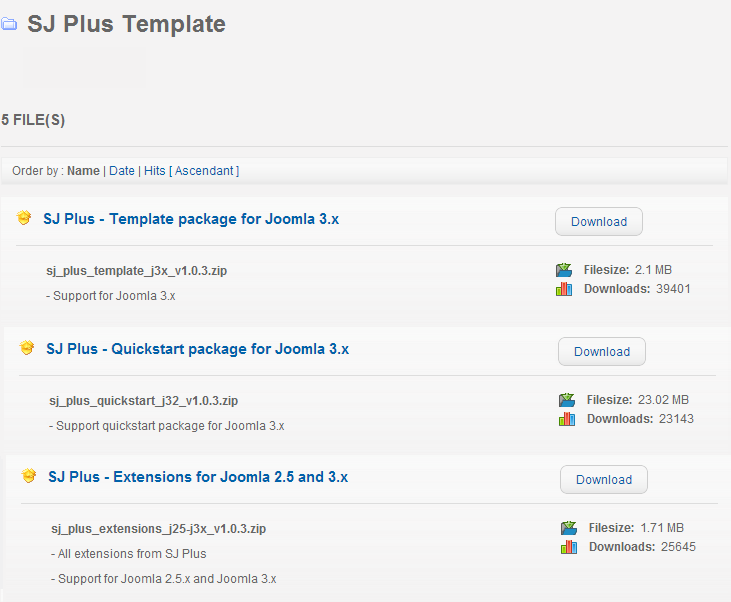 This guide will help you How to install Quickstart package for Joomla v3.x. Quickstart package is a full website package that includes: templates, extensions, database, images … and once you install the quickstart successfully, you will have a complete website that is exactly same as our Demo. 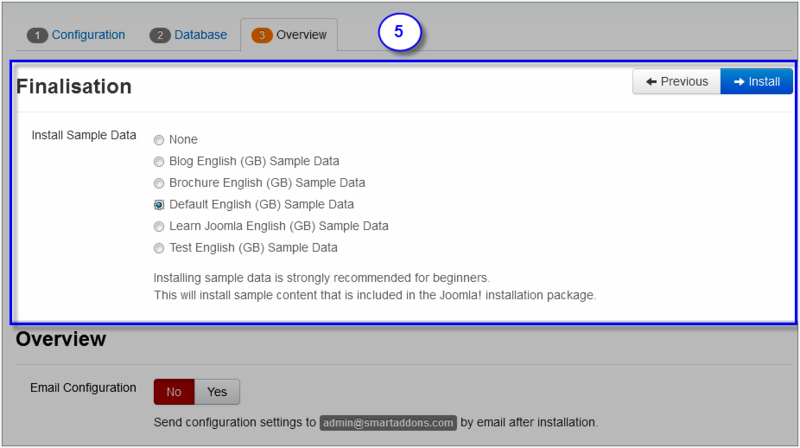 With Joomla 3.x Quickstart Installation has only main 3 steps: Configuration, Database, Overview. Before installing the Quickstart package, we recommend you back up your site first. You click to learn how to back up a Joomla site. The following steps will guide to install a quickstart package of SmartAddons Joomla Template. If you are using SSH, simply upload your zip file (via FTP) and then 'unzip' the file. 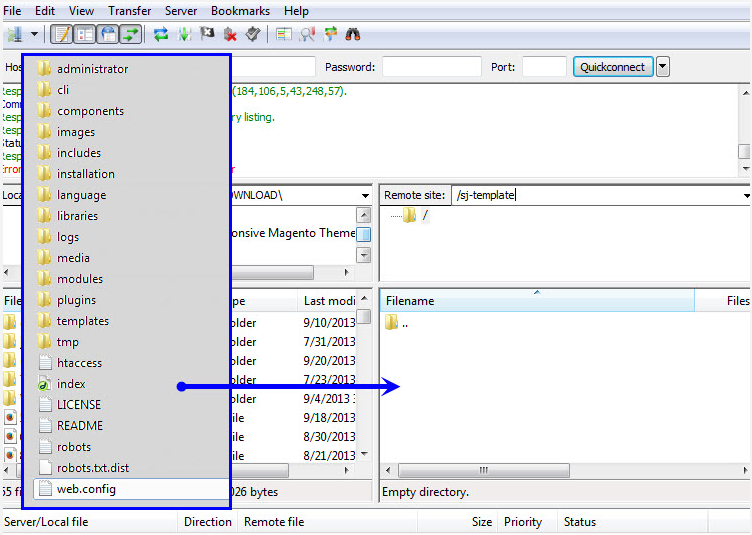 If you are using FTP, unzip the file on your computer and then upload those files as below. Though some web hosts have a different structure, in MOST cases, the folder that is used for uploading will be called "public_html." This will take a while to upload all those files and folders. Please keep your patience. Create Database: Following guide is used for creating database on the localhost. 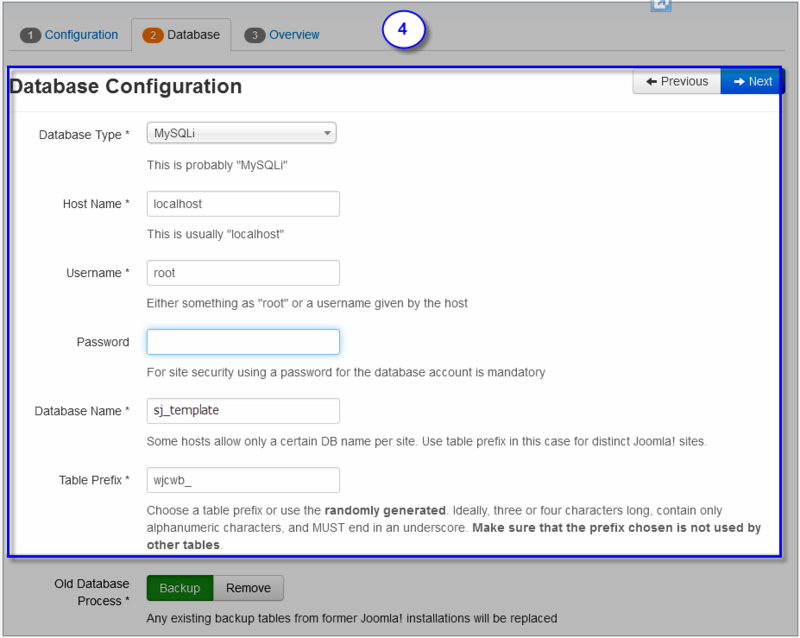 Go to your phpmyadmin (http://localhost/phpmyadmin/) then type of desired database name. You should refer document for creating database on Cpanel. Database Installation: After the step 2, Click Next and go to this step. You will need to fill database name, username and password in here. If you install sample data, you will have a site like our demo. 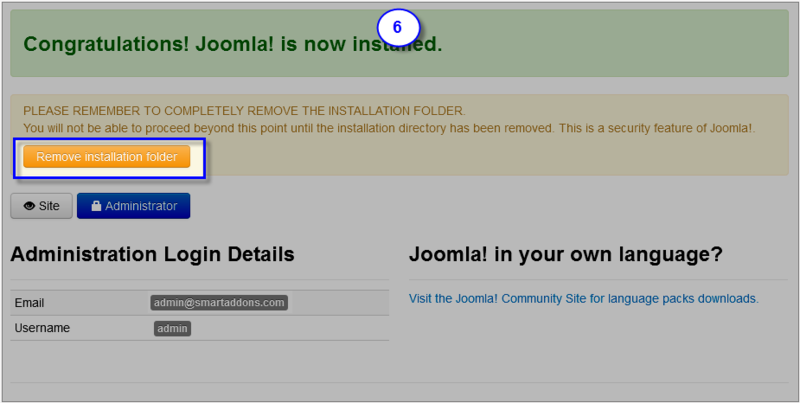 If you select default sample data, you will get a fresh Joomla site. Once you have done that you can navigate to the frontend of your site and see the template set up exactly the same way as the demo site. You are now free to edit, change and add to the site to personalize it and start to market your Joomla web presence. Good Luck!